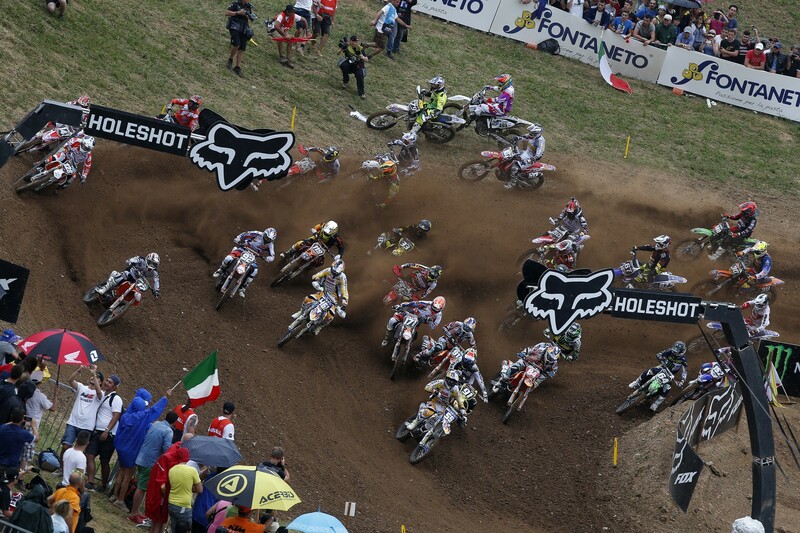 Highlights video, race report and some great photos by Ray Archer from the MXGP of Italy at Maggiora! 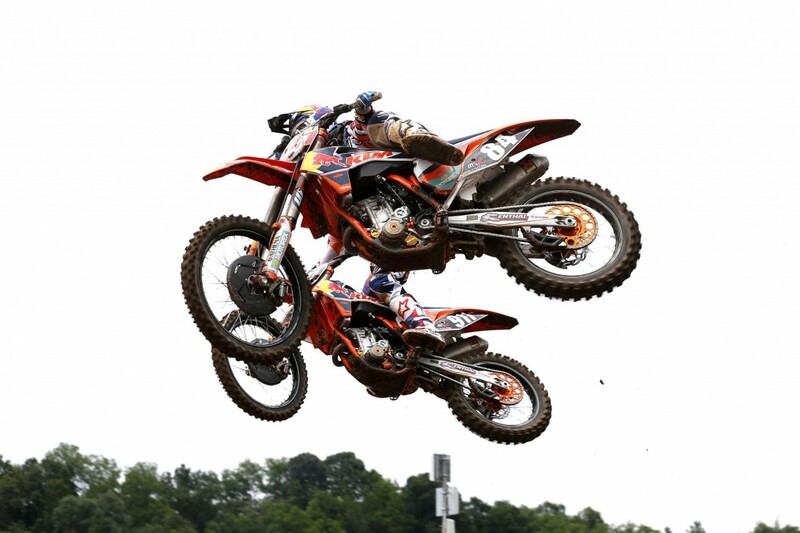 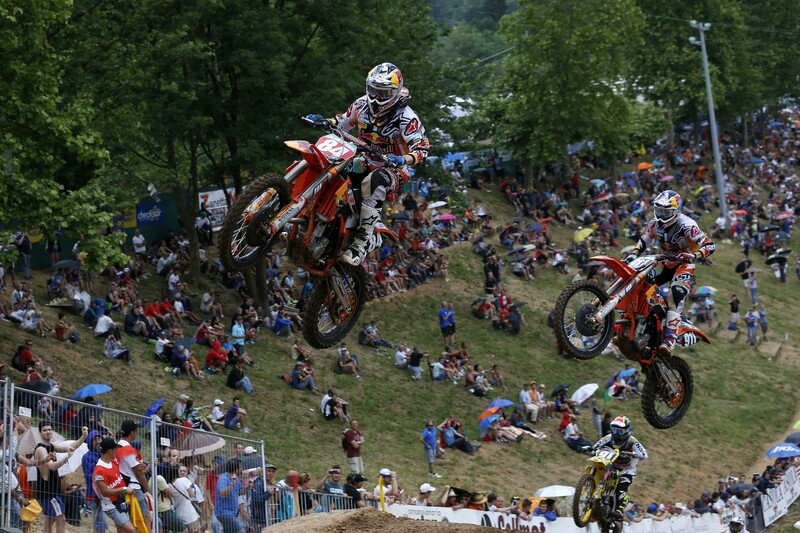 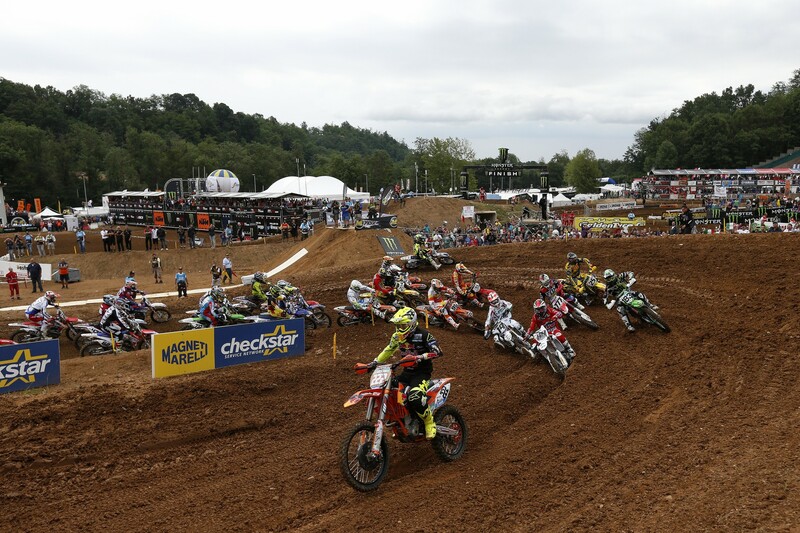 Red Bull KTM factory riders Antonio Cairoli and Jeffrey Herlings made it a weekend for KTM to remember at the MXGP of Italy in on the iconic track at Maggiora, both taking double moto victories on Sunday to move further ahead in their respective MXGP and MX2 championships. 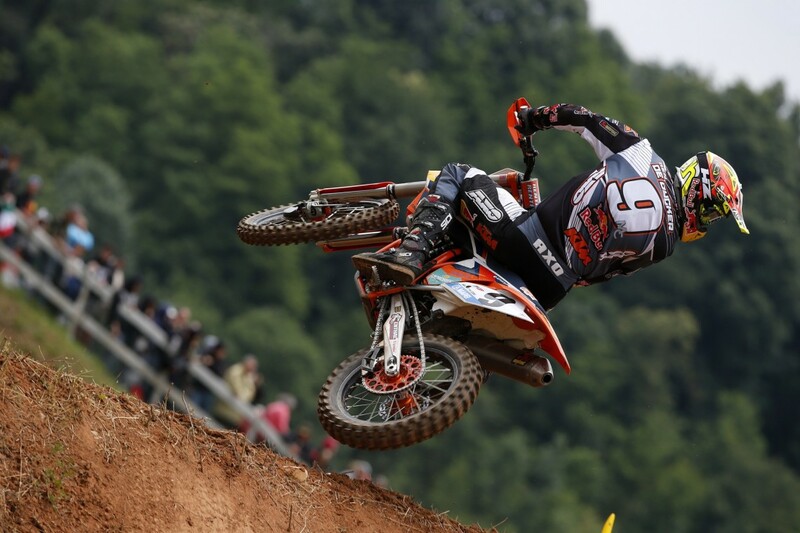 Herlings’ factory teammate Jordi Tixier was also back in fighting form finishing 3-3 behind in Herlings to give the factory team a 1-2 overall result in the MX2 class. 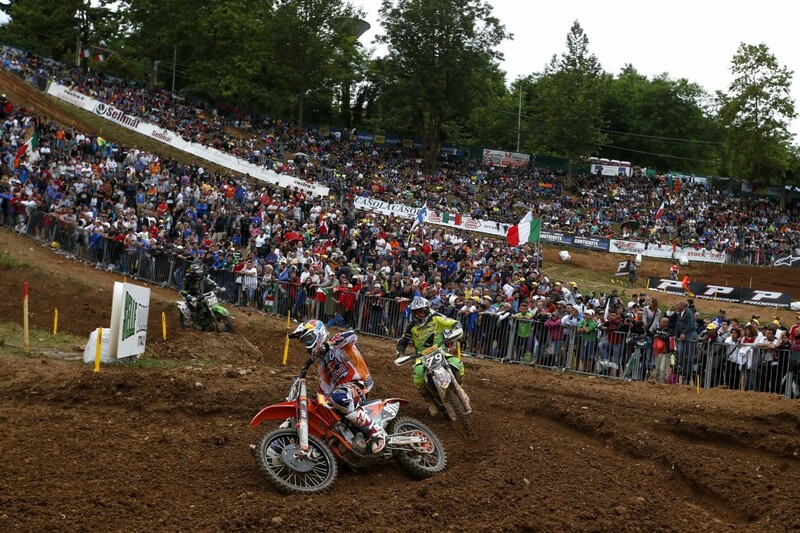 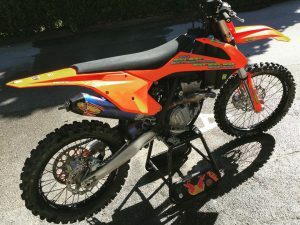 It was an emotional occasion for Red Bull athlete Cairoli, who has never won at the northern Italian circuit before and who admitted before the race that it was not one of his favorite tracks. 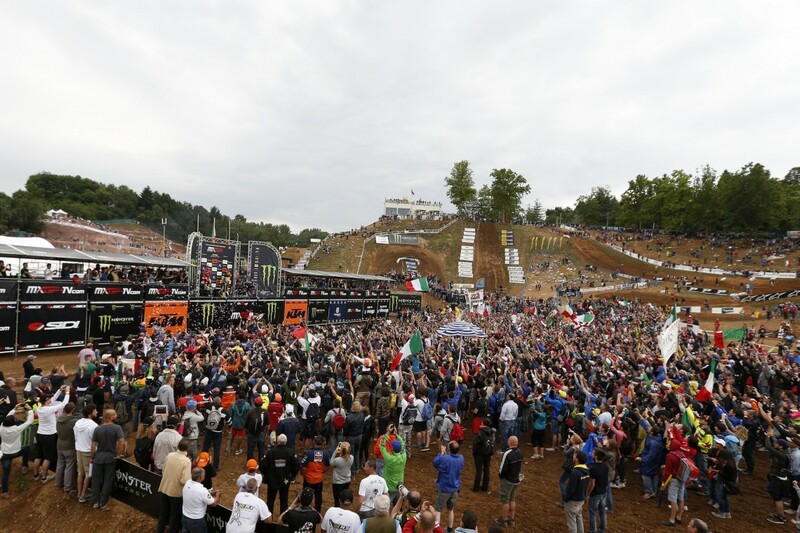 But on a weekend when thousands of fans lined the hills around the circuit to support him, and who generated noise and greeted him with a sea of Italian flags and banners, the seven times world champion did not put a wheel wrong. 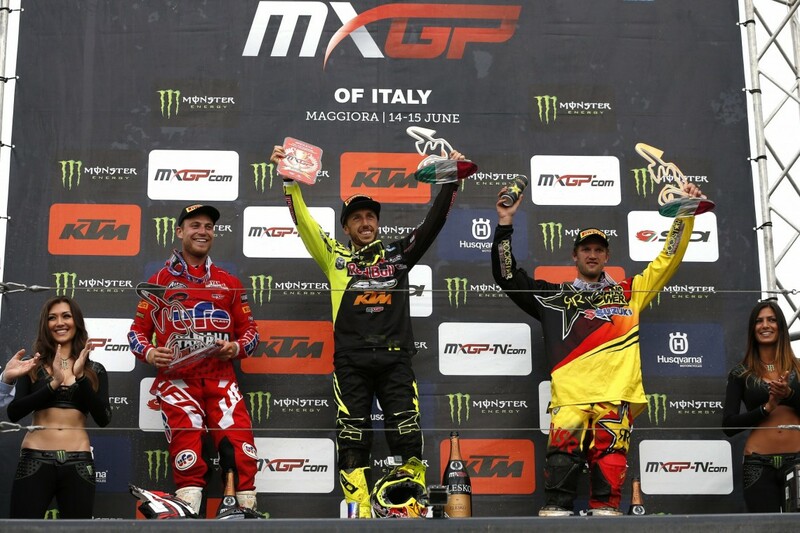 Cairoli, in his fluorescent race gear and hallmark yellow boots was fast out of the gates, took early control of both races and never looked like anything but an absolute winner. 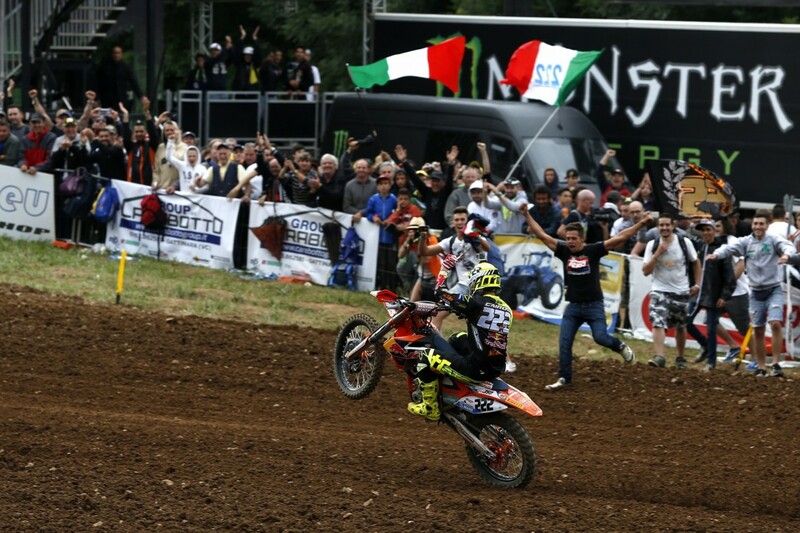 the Italian won each moto by a margin of more than four seconds, in each case from Jeremy van Horebeek, who was second overall. 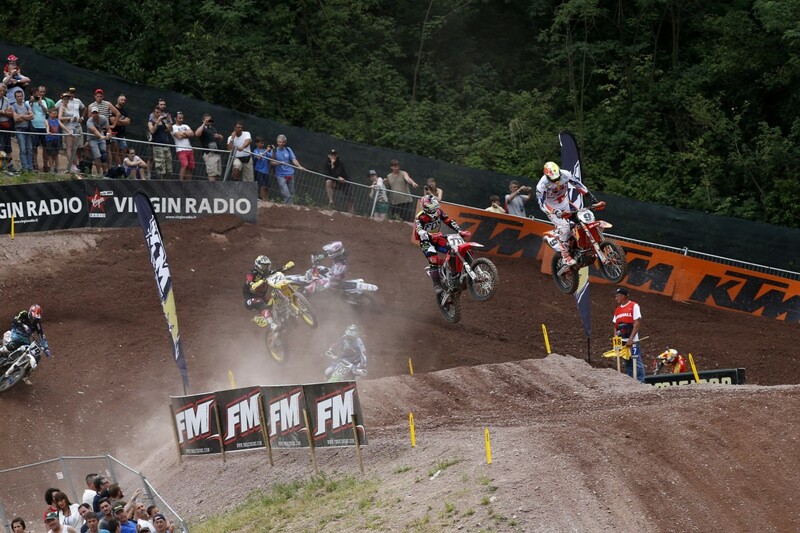 Kevin Strijbos was third overall to also make it a good day on the minor podiums for the Belgian duo. 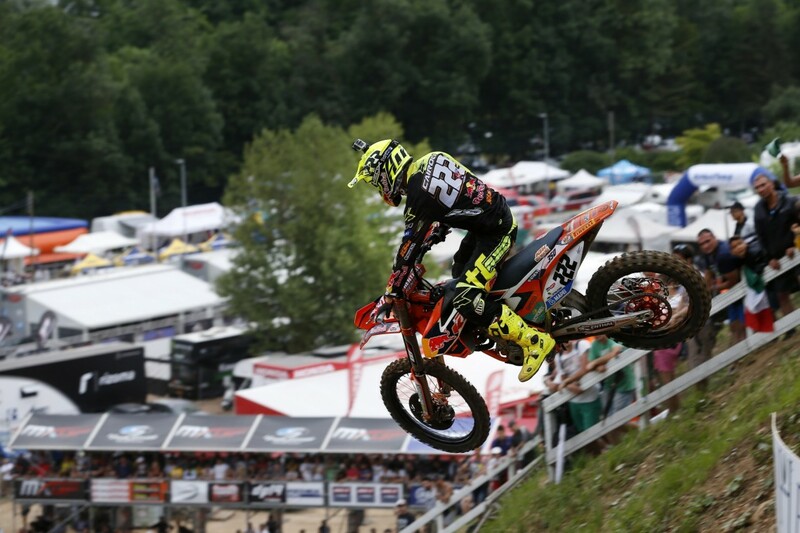 Cairoli, with 443 points from the 10 rounds so far is aiming for his eighth title and now has a 38-point lead in the championships. 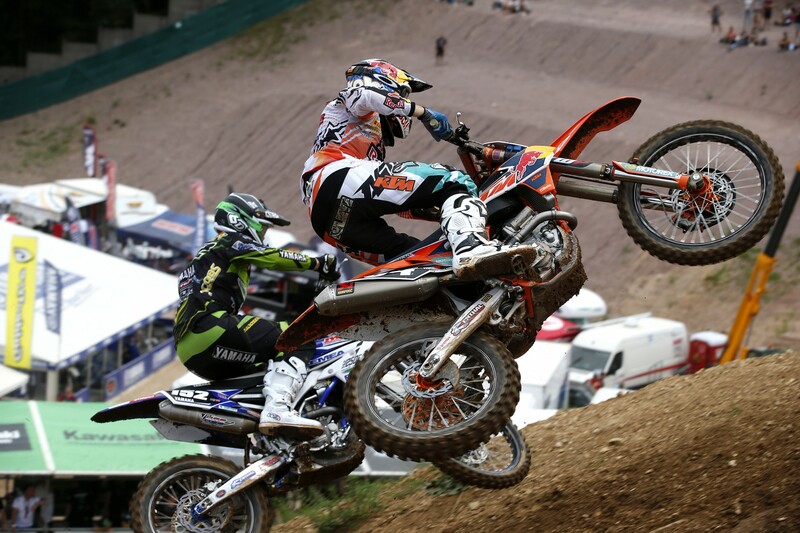 Clement Desalle is second and van Horebeek is currently third. 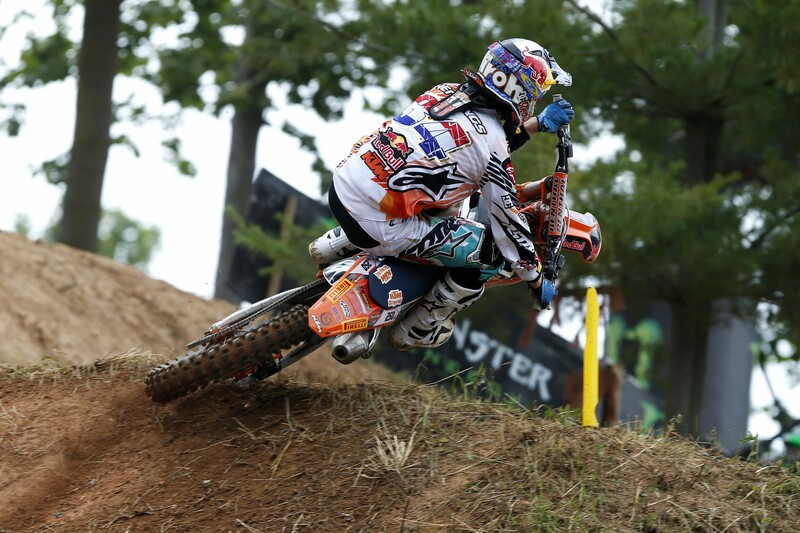 In MX2 Red Bull athlete Jeffrey Herlings had a triumphant day out on the Italian circuit to be rewarded with his fortieth GP victory. 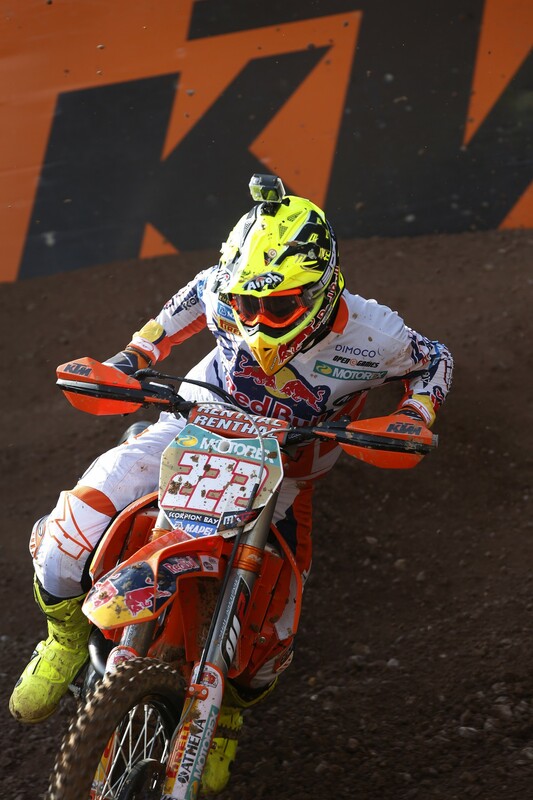 This milestone is impressive because the Dutch teenager only joined the senior competition in 2010 and is already on his way to his third World Championship title. 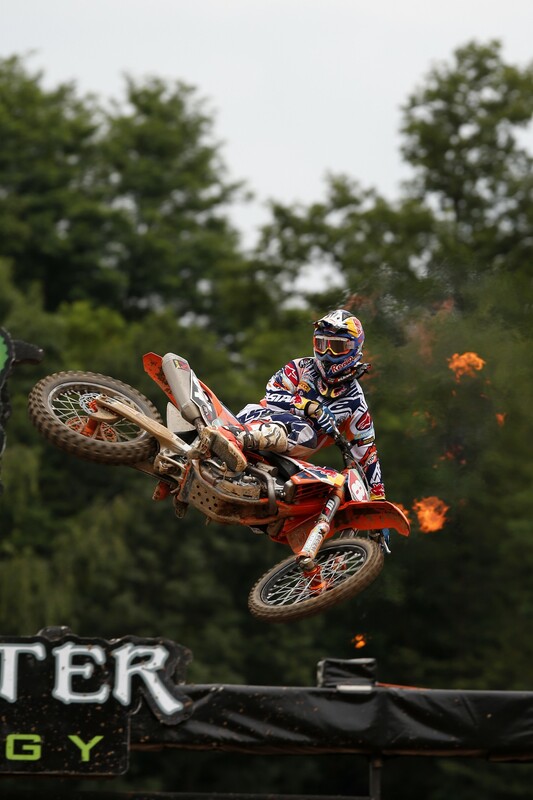 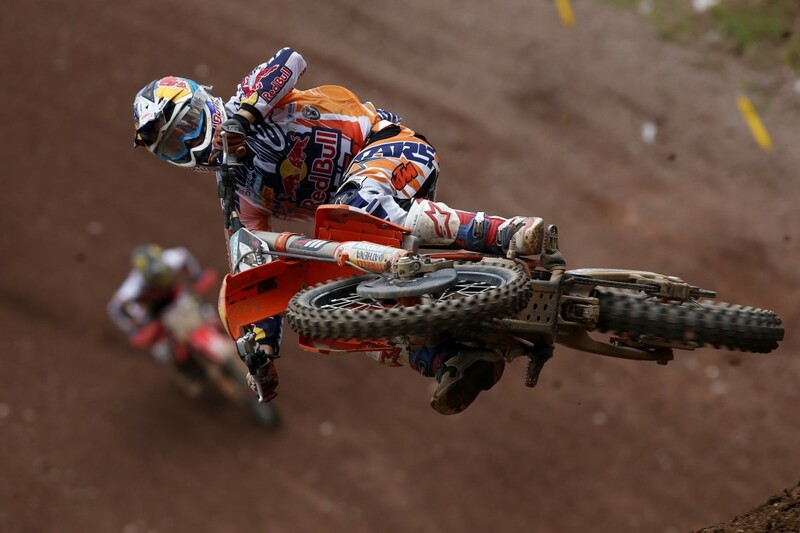 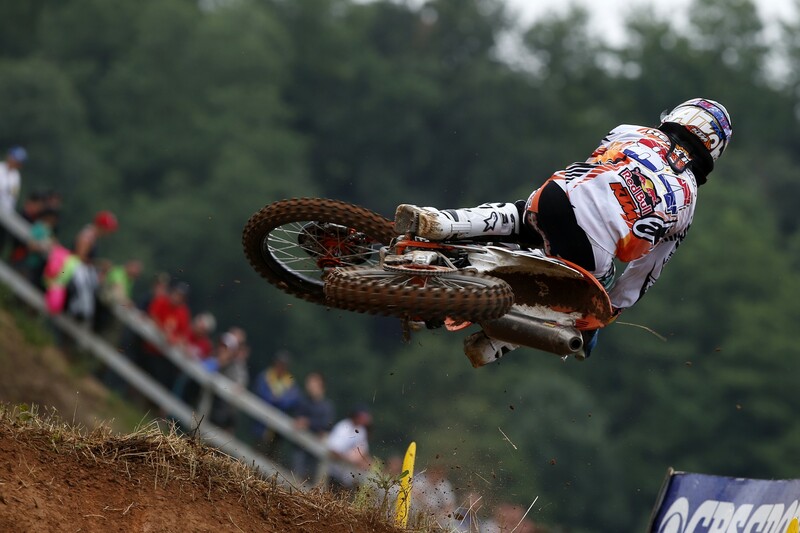 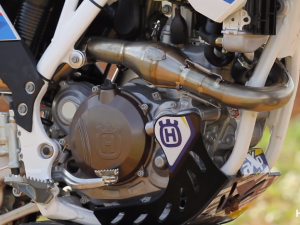 Herlings has raced nine of the ten rounds – he was injured and did not compete in Brazil – and has won every race except two, where he placed second. 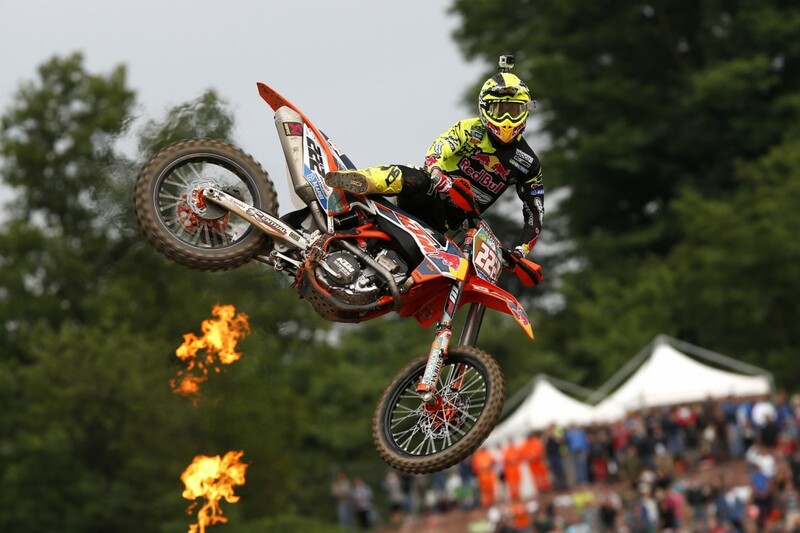 Red Bull athlete Tixier of France may have had a slow start to the season but as his result in Italy shows, he is gaining in confidence and adding more points to his tally for the year. 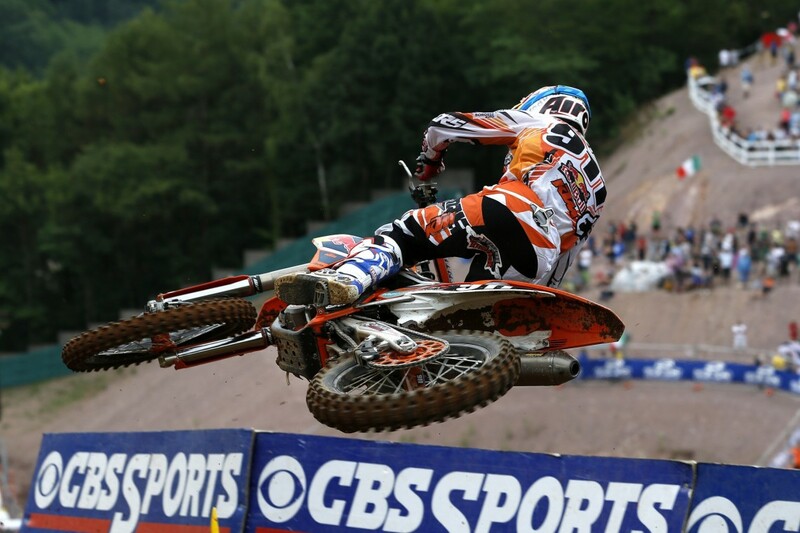 Her has now moved up to third place in the points standings and only Swiss rider Arnaud Tonus separate him from Herlings. 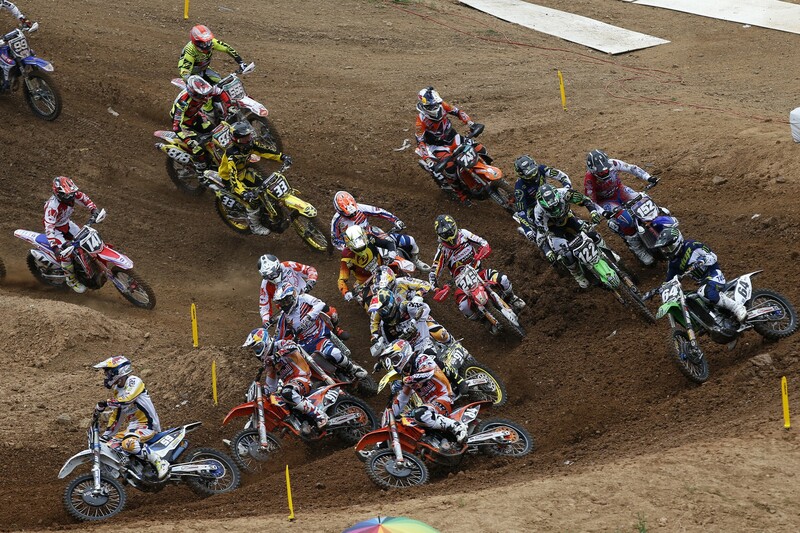 Riders next compete in the MXGP of Germany at Teutschenthal on June 22.